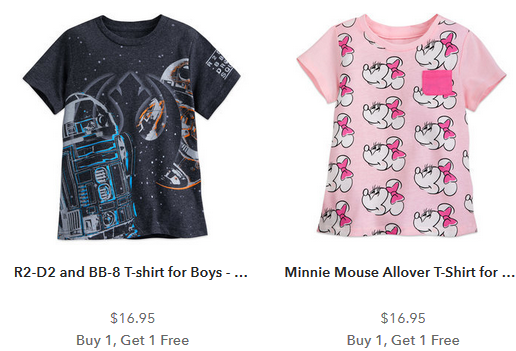 Home > Clothing Deals > shopDisney Sale: B1G1 Tees & Tanks! shopDisney Sale: B1G1 Tees & Tanks! ShopDisney has a great sale right now! You can get buy one get one tees and tanks. You can also get plush characters buy one get one for $2. There is no coupon code needed. The sale ends 5/10. Shipping is FREE on orders $75+ with the code SHIPMAGIC.